The über-talented guitarist and fine composer Dhruv joins three of India’s most skilled jazz artists on stage to make beautiful music. Their virtuosic arrangements blend jazz, contemporary Indian roots and all-out rock in a sublime original performance. 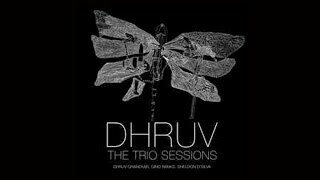 “Dhruv, gave an electrifying performance of jazz-fusion (…). Guitarist and founder Dhruv Ghanekar is a graduate of Berklee who has performed with giants of the Indian music scene including sarangi player Sultan Khan, tabla maestro Zakir Hussain, percussionist Trilok Gurtu, as well as drummer Ranjit Barot and keyboardist Louiz Banks. An outstanding guitarist, Ghanekar’s fusion is finely balanced between his Indian roots and jazz, with certain rhythmic and harmonic elements adapted from both.